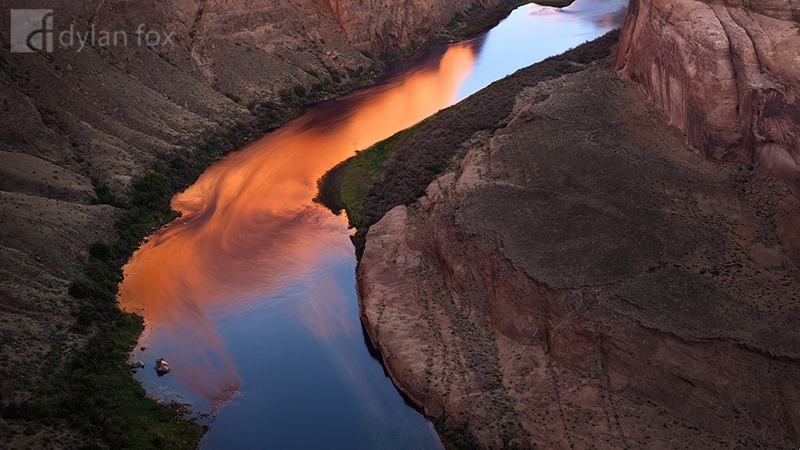 Reflections on the Colorado River of sunrise light hitting the walls of Horseshoe Bend in Arizona. I photographed Horseshoe Bend the evening before and decided to get up at 4am to photograph it at sunrise too so I could see it under both lighting conditions. This place is massive! I was shocked by its size and its beautiful smooth stone. Secure your limited edition, Horseshoe Bend photographic print, 'Morning Reflections', by selecting your desired print size in the menu to the right.